The nCLOSE Enclosure for Apple iPad is perfect for any business looking to accept credit cards with the “Authorize.Net Payment Gateway Key-Injected” mobile credit card reader as it secures, houses and protects both in a soft-coated protective enclosure. nCLOSE for Apple iPad allows merchant’s to interact and store customer information in mobile, retail or any business environment. nCLOSE allows merchants to interact with customers and have them sign on the screen, text message / email receipts and store this information for future marketing purposes. 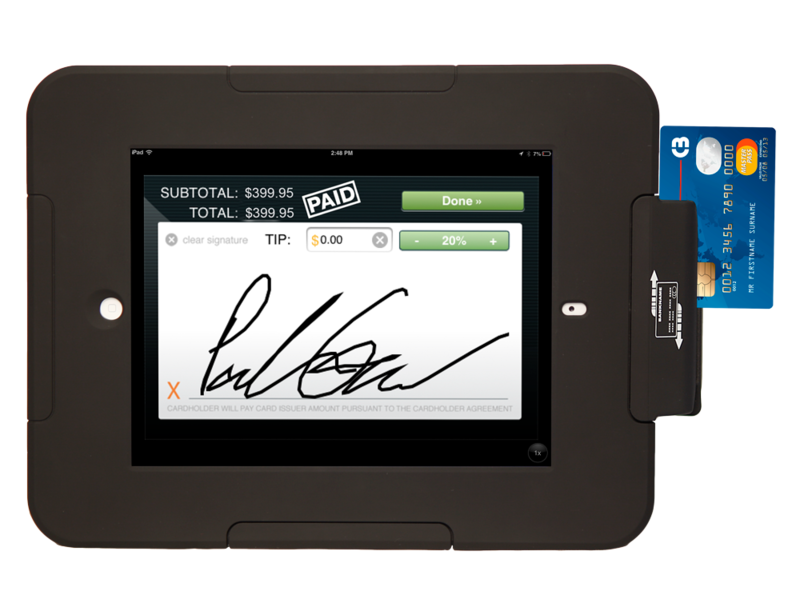 nCLOSE revolutionizes the ways customers interact with merchants at a fraction of the cost of a traditional Point of Sale (POS) while providing piece of mind that your Apple iPad and mobile credit card reader are safe and secure.